REIGN to Release new Single "COBALT"
REIGN has announced details and a PV for the first of two upcoming single releases, "COBALT", which will be available June 7th. "COBALT" will be available in two types. 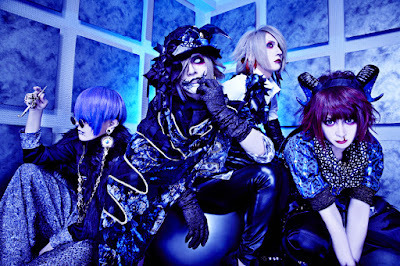 TYPE A will come CD+DVD with a PV for "VENOM" for 2100 yen and TYPE B will come CD only for 1500. The band has also announced another single that is expected September 20th.